MBA essays are vital for applying for a desired position in a business school. Being an essay writing service, we know what factors you need to consider in order to have a piece, that will get you there and lead to a spectacular career. Let’s talk about what the most successful MBA essays have in common and then move to other important stages of getting to a B-school of your dreams. Some of the decent examples of creative writing were completed in a rather short time. They often represent pure emotion and express the atmosphere of the moment. However, this approach doesn’t really work for application essay writing. Having read a couple of sample MBA essays, you’ll see, that they are well-balanced, each of the arguments is supported by credible examples and conclusion convinces in applicant’s being perfect for the position. Achieving these goals takes time. Make sure to allocate enough for writing. Starting early will let you work on it in a stress-free way. In case you’re applying for a number of programmes, this point is even more important. Give yourself enough time and let your ideas develop naturally. Start with jotting done your ideas in your notebook and keep working until you get a first draft. The length of a preparation period is individual: from a couple of days to a full working week for one essay. Adjust the schedule according to your own needs, but remember: working on your MBA essay certainly has a high priority. 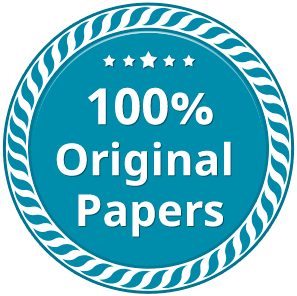 MBA essay examples are often dedicated to answering a question, that describes your personality in a way that leaves no doubts in your being perfectly fit for the position. The key here is to be specific and not to try to kill too many birds with one stone. Admission committee has posed the question in a certain way for a reason. So pay attention to the sense of the question and carve your answer to be as comprehensive and deep as possible. In case the topic for an essay sounds like “Describe the situations, where you’ve expressed your leadership qualities”, don’t just say what a great leader you are. Provide your reader with examples, that prove this point. Make sure to answer not only “what”, but also “how” and “why” questions. Demonstrate your understanding of the topic and you’ll be heard by the admission officer. One of the most valuable MBA essay tips is not to try to look like a super human. Admission committee representatives have read tons of application essays. They can spot lies, exaggerations and avoiding acute angles. They are not easy to impress. What works here is a personal approach, that can make your essay stand out from the crowd. No one says you have to be a drama queen in your MBA essay. But don’t try to be someone else but you. Respect all of your successes and failures. You have your own unique set of mind, emotions and experiences that has led you to believing that you are qualified to apply for a programme. Don’t hesitate to share it with people, who’re going to make an important decision about you. Even when you talk about your weaknesses and quirks, show how you’ve turned them into your strengths or what helped you to overcome them. Application for MBA is another challenge. Be sincere and you’ll push through it. The first draft of your MBA essay is almost never the final one. Once you’re done with the first version, leave it aside for a while and then move to editing. Look for the typos, grammatical mistakes or any inaccuracies that could crawl into your perfect piece. Check for compliance of your writing with the requirements of the program you’re applying for and make sure you’ve said everything you wanted to. You might also ask your MBA essay consultant, professor, colleague or a friend to take a look at your writing. No matter who you ask for help: an experienced professional or a co-worker who you trust, this will help you get a new insight onto your work and see the ways of improvement much more clearly. The final tip here: don’t be paranoid. Your MBA application essay has to be finished and submitted. Remember about that and don’t get swamped with rewritten versions of it. Your MBA essay is surely an important part of an application. However, you’ve got plenty of things to worry about: your GMAT score, recommendation letter and an interview. You might be preparing for application with the help of MBA essay consulting, having professionals to guide you step by step. You could do it on your own, relying only on your judgment and qualifications. Either way, make sure to plan the process efficiently and don’t get overwhelmed. You’ll nail it. We believe in you.